Last weekend I went to a family reunion. Usually I am with my sister at these shindigs so if you say one of our names, the right one answers and it's clear who is who. This time I was a lonesome dove, but I was also wearing a nametag that each person was given. The first night of the reunion, a family member came up and said, "Which one are you...M____ or N_____?" I have known this person for 27 years. I am related to this person. And I was wearing a nametag. And he still called me the wrong name. 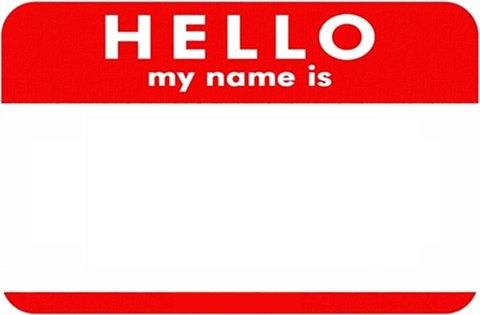 I can take a hint...When someone calls you the wrong name when you're wearing a nametag, they really, really, really don't care who you are.